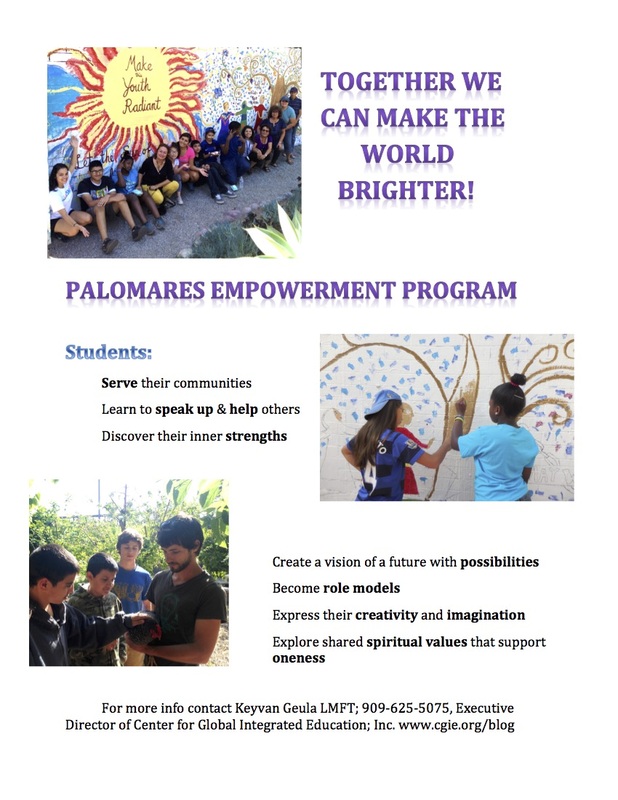 The Palomares Spiritual Empowerment Program has been in operation since March 2014 with impressive outcomes. In consultation with the Empowerment team as well as the students, their parents and school administration, we embarked on a progressive and flexible curriculum to address the presenting emotional, social, academic, psychological, spiritual and global needs of the students. At each step we assessed if the curricula was working as a integrated education tool to empower and educate. we evidenced our assessment by the student journals and the our teams observation, consultation, reflection and evaluation based on the changes in students perception, thoughts, feelings, hopes, wants and actions. We made not of the students degree of greater engagement, better management of their conduct in the class and at home, having a purposeful and hopeful view of life and future. The three layer structure in the design and implementation of the program has had a great deal to do with its sustainability and outstanding outcome not just in the lives of the students we worked with but more so in the lives of the dedicated animators that participated in the design and implementation of the program. The gains that the animators made was enhanced an assured in their closely involved process with their expert supervisor and trainer and the program’s collaboration with the school administrators and parents who value the unique and complementary contribution of the program. Focus on critical thinking, reading to build vocabulary and developing communication skills through reading, writing, interacting and sharing thoughts, feelings, intentions and actions. A culturally inclusive curriculum with projects that relate to self development through the use of multiple intelligences incorporating Arts, music, Social Studies, gardening, cooking, story telling, mindfulness, prayer and meditation, and the Science of self knowledge and empowerment to not only be successful but good to all humanity. A blended-learning implementation with individual and collaborative activities, in a group and collaborative settings. A project-based approach, as well as learning activities and projects that favor multicultural perspectives for a deeper understanding of universe human values such as celebration of unity in diversity. Alignment with Common Core standards. The school’s sincere support, on going evaluation, reflection and appreciation for our contribution plays a central role in unfolding the ever evolving process of serving the students and empower them to know their own selves and powers within. 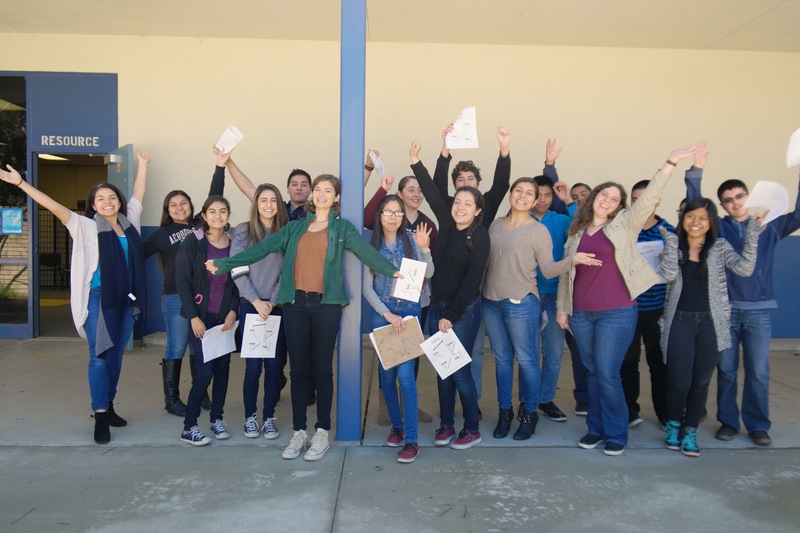 Our program began with an after school empowerment program for junior high and high school students and eventually in consultation with every one involved evolved into an in school empowerment, transformative mediation and community bilding program. The elements that need more attention and improvement has to do with greater collaboration and involvement with the parents. The attached flyer is our new look and simply explains what we do. We invite students to ask for permission slips and registration forms from the school office.